Most people today suffer from confidence problems, they don’t really believe in themselves. 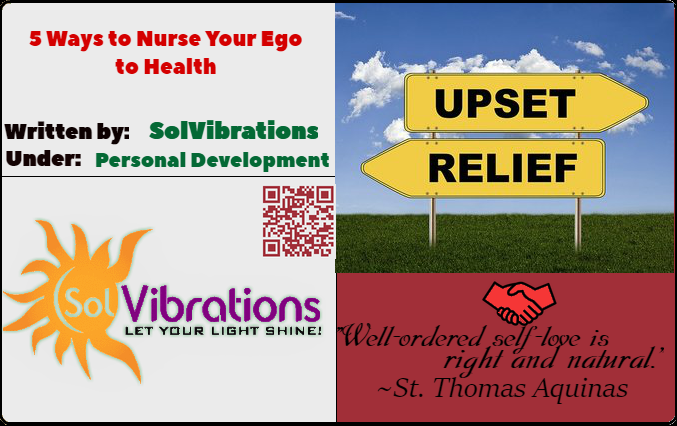 Almost everyone today has been in a scenario where they have had their ego battered – it could be due to the end of a relationship, getting the sack, or even just having an off day. It is how you deal with these problems that determine your long-term well-being. Most of us swallow all these emotions, but this isn’t the solution – this leads to a lot of situations that aren’t ideal; you might suffer from mental depression or insomnia. If you feel that you are having confidence problems then read on, and find out how to sort out all these problems with these 5 simple steps for a healthy ego. You will feel good about yourself and have more confidence. If you can’t accept yourself for who you are, then how do you expect other people to? Embracing all your flaws will enable you to not be bogged down when someone makes fun of you. It is important that you do not allow other people to change who you really are, it will never make you happier. This may sound unbelievable, given that there are thousands of rich and powerful people all around the world – but you should realize that even they are not perfect; they can never be fully satisfied with their lives. Even the richest people in the world may not be happy – what did it cost to become rich? Did you make any sacrifices? Every sacrifice has its disadvantages. Even if there isn’t someone to give you a pat on the back, you could always do it yourself. If you can acknowledge what you achieve, even the little things, will take you a long way. You should not be embarrassed to give yourself congratulations; it could be that there is no one who realizes just how significant your achievement is to you. Sometimes you might not be able to acknowledge just how nice you are, it is best to write down all of your best attributes – and you should be blunt with yourself, don’t shy away from writing what you think you are. It isn’t much of a problem to exaggerate some of your qualities – as long as it is within a touching distance of you. If you feel shy to write it down – you are the only one who sees it, it isn’t meant to show your friends and family; you can pretty much think of anything that pleases you. This is almost mandatory, although most people don’t do it. You are always asked to lend your hand and make a difference to the lives of the people around you. Just receiving a “thank you” from someone that you helped will take your ego a long way. Even just a smile or any form of acknowledgment will stir up similar feelings. Try and check for volunteer jobs or just around the community – money should not be your objective, but it could be a massive bonus. You shouldn’t be afraid to work on your ego; it is a great way to boost your confidence and could make a massive difference in your life. These easy steps for a healthy ego will take you far in your quest to boost your confidence. It is crucial to always keep your head held high, and never be afraid of making mistakes – no one is perfect, and neither should you.